“Coaches Cope with Strict NCAA Social Media Rules,” which earned a Student News Award of Excellence in the news competition category, features Westminster College Athletic Director Jim Dafler and Patrick Geiger, former men’s head lacrosse coach, and examines how social media is used in compliance with NCAA rules and regulations. 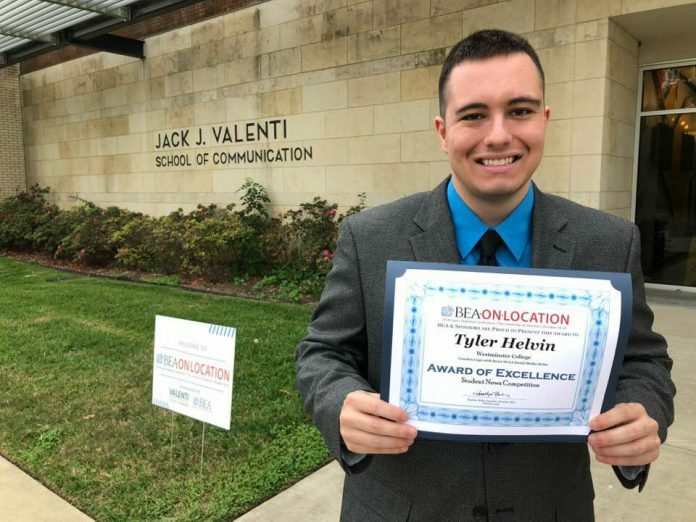 Helvin traveled to Houston with faculty member Bradley Weaver, lecturer of broadcast communications, to participate in the BEA conference in October. Funding for Helvin’s travel was provided by the Westminster College Drinko Center for Undergraduate Research and the School of Communications.